On 5/1/1962, a U.S. federal trademark registration was filed for ALVIN. This trademark is owned by Alvin & Company, Inc., Windsor, CT. The USPTO has given the ALVIN trademark serial number of 72143499. ALVIN is an United States importer, manufacturer and distributor of graphic arts, drafting, fine art, office, and craft products. It was founded in 1950 and is still in business. 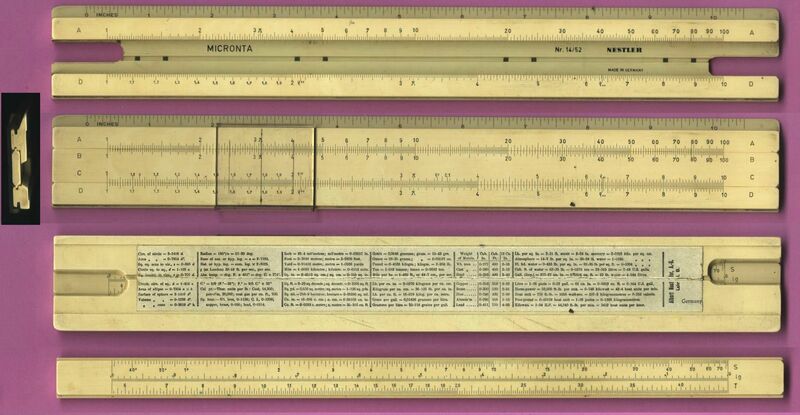 Note: This is a demonstration or teaching slide rule that was found in a New York City stationary shop. Multilined Cursor: Kw, HP, etc. 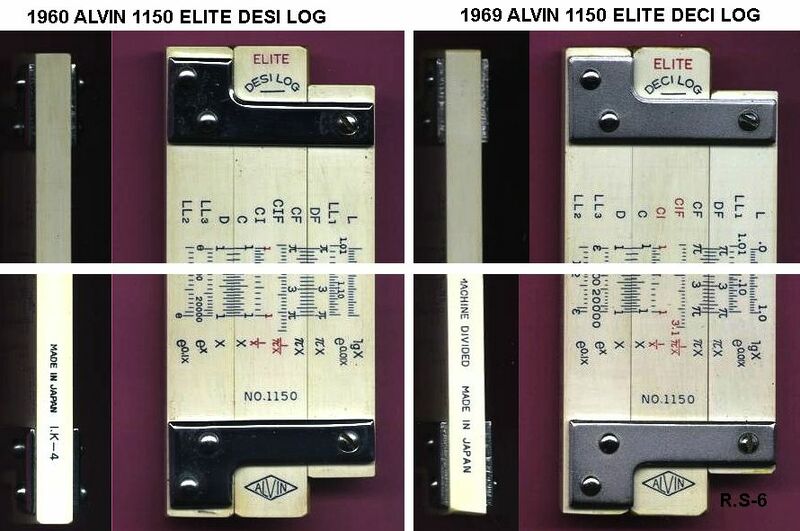 Note that the Model name here is DESI LOG rather than DECI LOG (short for Decimal Log). This was an obvious misspelling by the Japanese firm. Sometime after the first release in 1960, they fixed the problem. The 1969 model below has been corected. 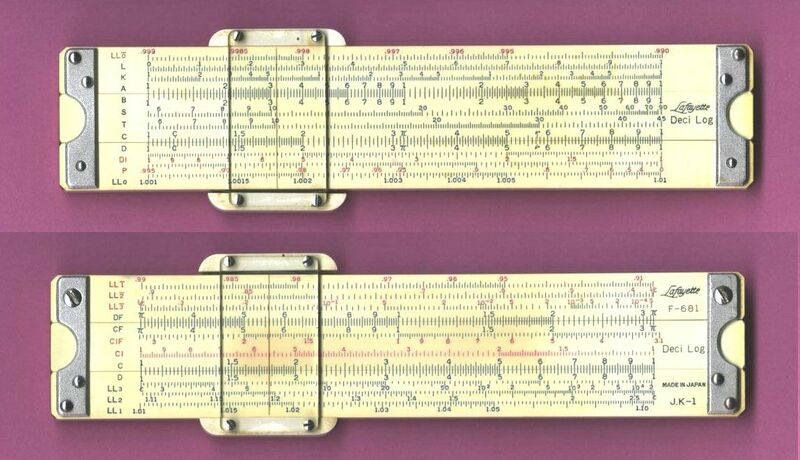 Look at this graphic comparing the two slide rules. 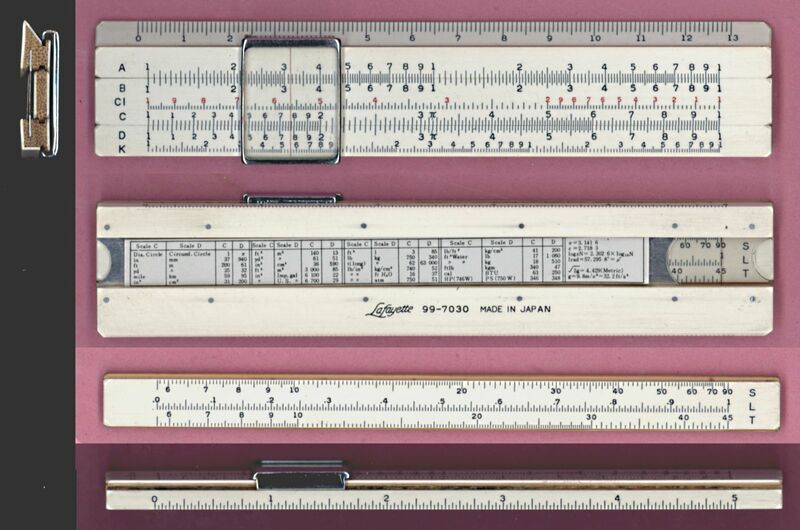 They rebranded slide rules from the US as well as Japan. 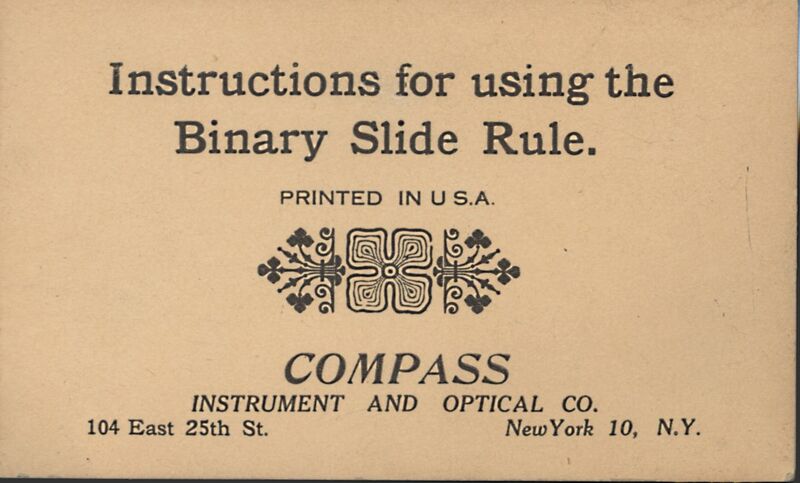 The first few shown in this gallery were made in the U.S.A. After WWII Compass started rebranding the Ricoh line of slide rules. 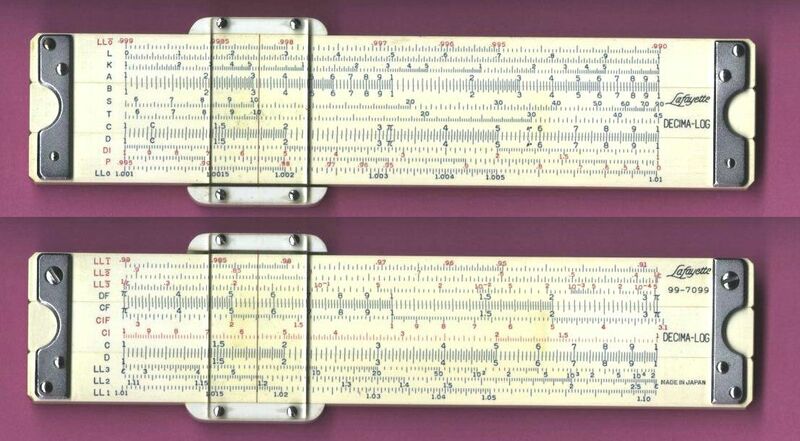 We have not been able to find a store or business catalog that contains Jason slide rules, but it is a strong possibility, or best guess, that this re-branded slide rule line was made for Jason Industrial Inc, which was founded in 1958 by Jacques Cohenca. The company grew to become one of the leading suppliers of industrial rubber products and related hardware in the western hemisphere. 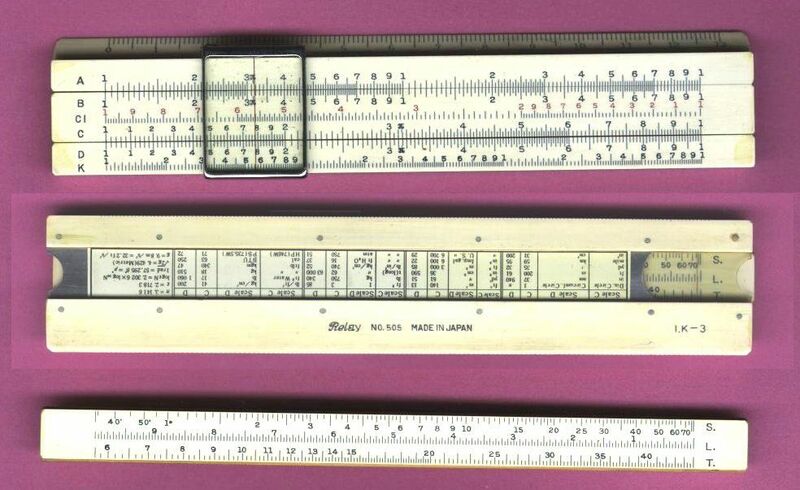 If anyone has a Jason Industrial catalog from 1958-1971, we might be able to find a reference to the brand. Any other ideas? Advertising: (Sleeve) B.J. Centrilift (Made submersible Pumps). 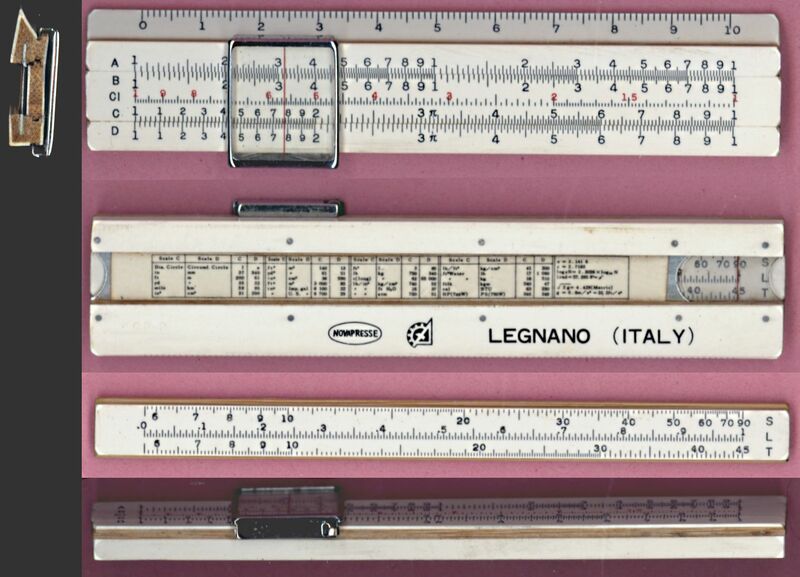 Note the short, unique LL1' scale which was developed in the Lafayette laboratory to provide more accuracy when calculating logeN and ex when x is close to 1. 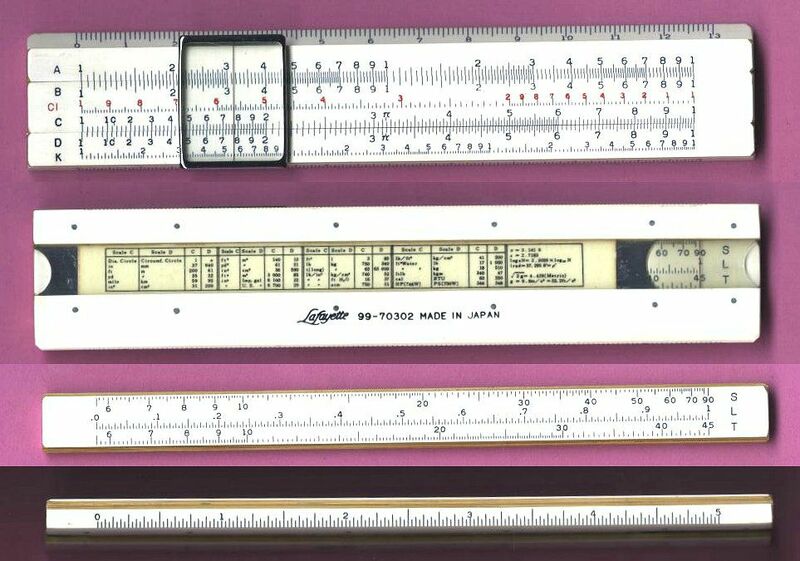 The actual owners of the U.S. brand of Slide Rules Lutz are unknown (at this time). 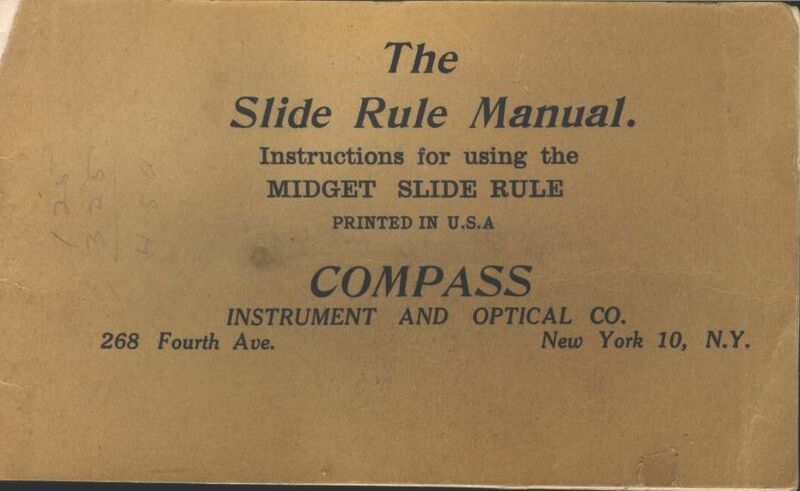 They were part of many entrepenuers that began distributing re-branded Ricoh slide slide rules after WWII. 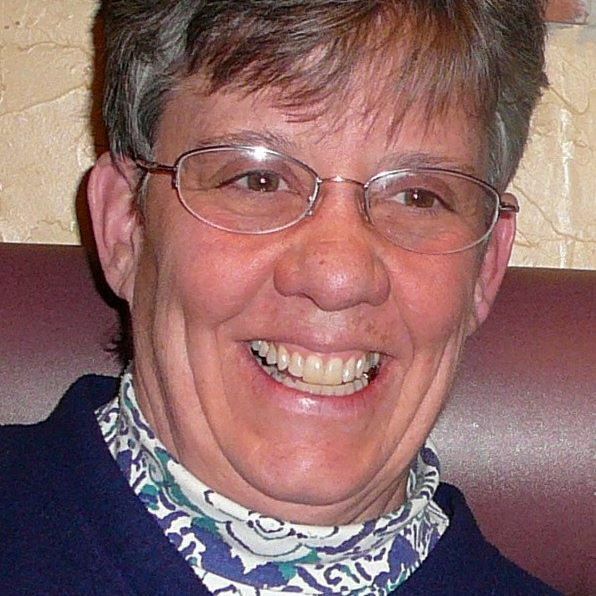 Ruth was born in Seattle Washington, a child of academic tutors. The family moved to be part of the University of Denver. 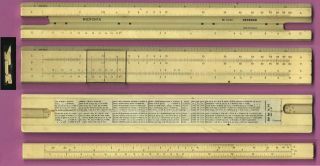 She acquired her first slide rule in high school and used it in physics while working as an assistant to Dr. Recht on the DU observatory. She went to UC Berkely, received her Masters and worked on her PhD. 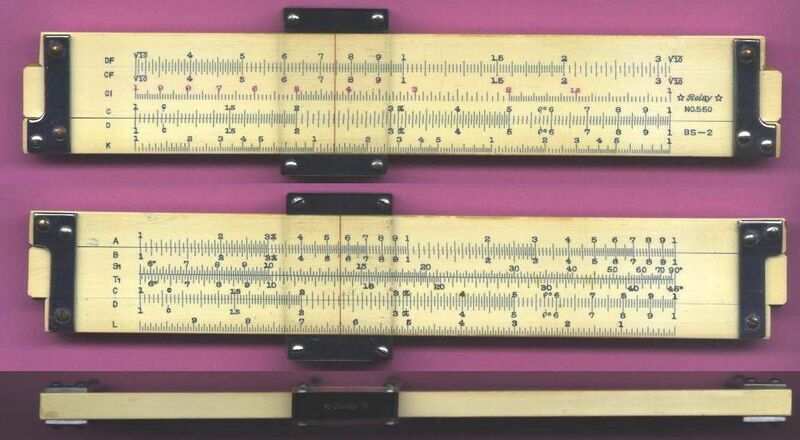 She was hired to work at the defense Laboratory at Livermore where she met her second husband, Wallace E. Kane (see the K&E gallery for his slide rule). After 1971 she did scientific editing and translated German articles. The couple relocated to the Puget Sound area in 1973 and Ruth became a public organizer to protect the local forests from over-development. 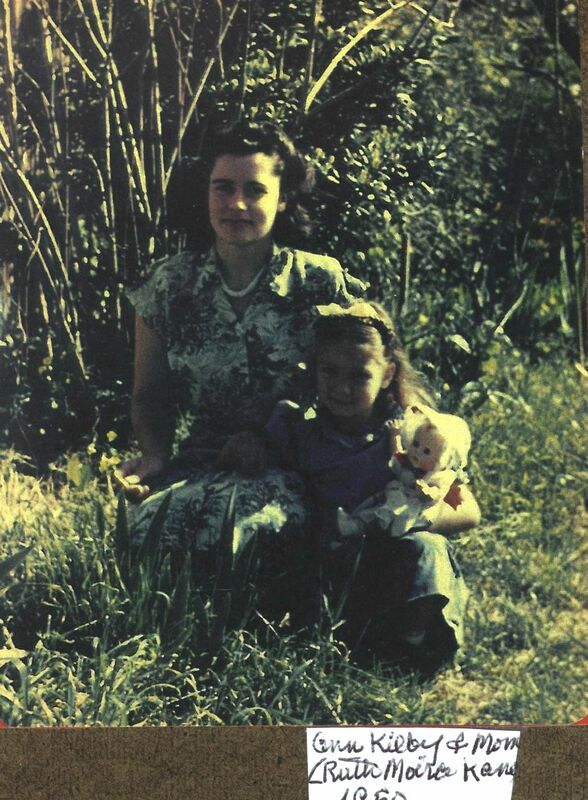 She was an active musician, like her husband. ISRM 09.01.12.14 Lutz 252 U.S. Need a specimen or scan of this model. 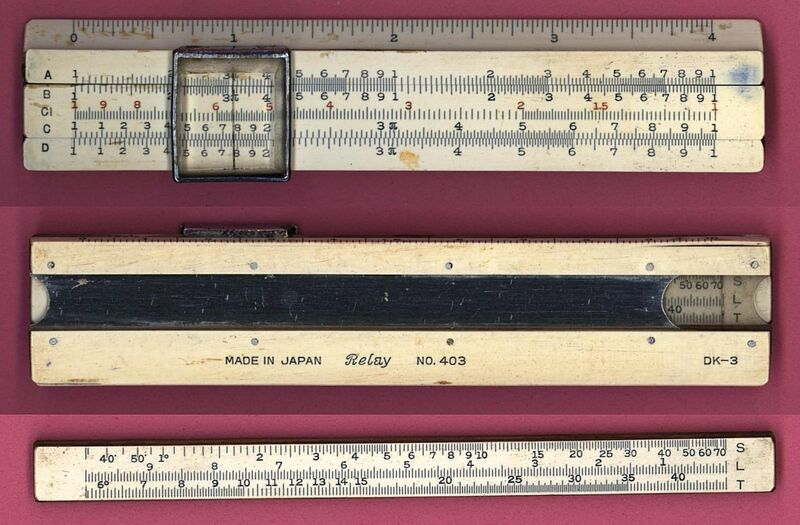 Made in Japan by Relay for Olson (electronic supply), Akron, Ohio. ?// A, [ B, CI(faded off), C ] D || ? Back: Note: the cutouts for the trig scales. One side is different than all other Ricoh models. 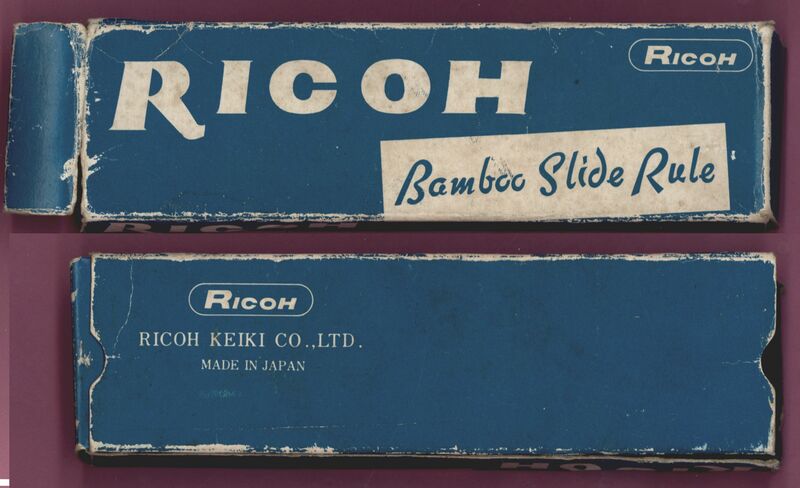 Made in Japan by Ricoh Kieki Co. Ltd.
Skyline Distributors was a Denver based company (as early as 1959) that specialized in electronics supply much like Radio Shack or Lafayette Electronics. 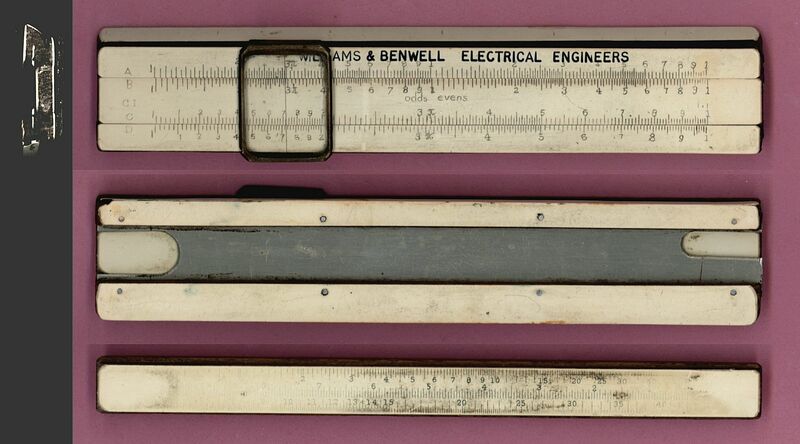 and in surveying and drafting equipment. 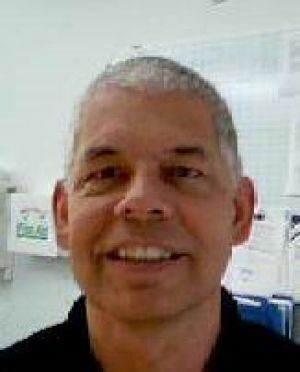 They ended their business in 1993 and the trademark name taken up by other companies. 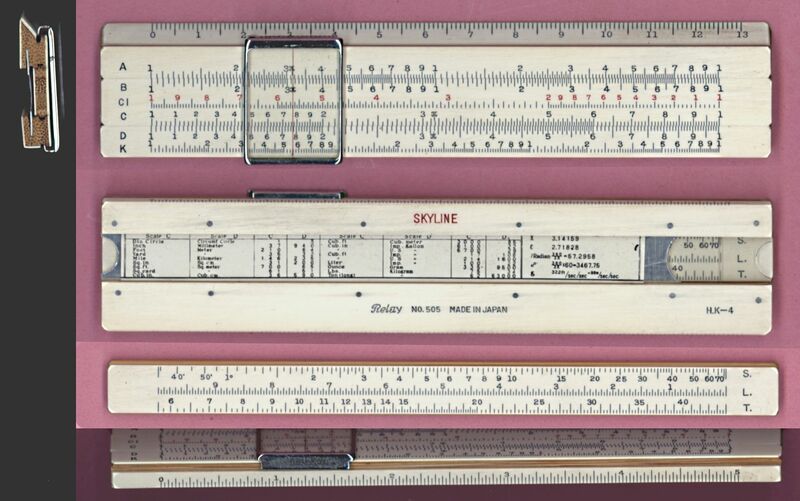 These two slide rules are the only known specimens of Skyline branded slide rules, both acquired by Bill Boas while living in the Denver area. 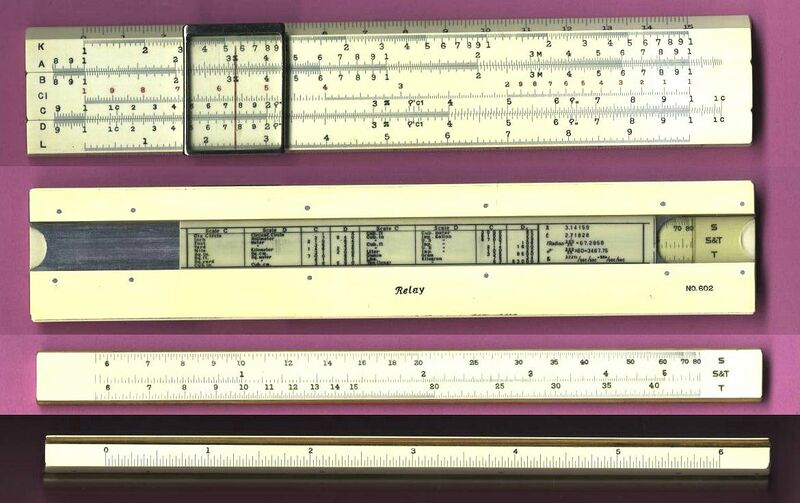 This slide rule was manufactured by Ricoh as an OEM and rebranded for the German market. It is listed here for reference and also appears in the Germany/Staedtler gallery.